The farewell of the raped rapper Nipsey Hussle was overshadowed in Los Angeles on Thursday by a new shooting incident. Four people were shot along the funeral procession route. One of them did not survive the shooting, US media report. 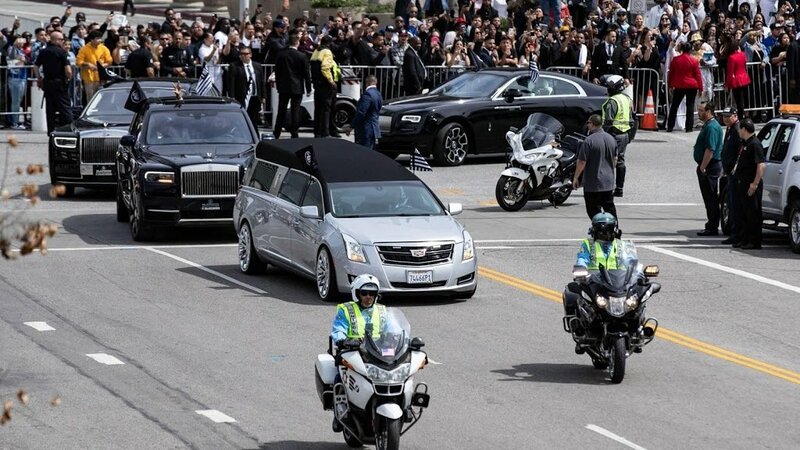 The incident came shortly after Nipsey Hussle’s commemoration at Staples Center, the same place where Michael Jackson said farewell in 2009. More than 21,000 people attended the service. Another hundreds stood along the route of the funeral procession. During the commemoration, a letter from former President Barack Obama was read, Snoop Dogg spoke and sang Stevie Wonder. Nipsey’s girlfriend Lauren London also spoke. Together they have a two-year-old son: Kross. Nipsey Hussle, whose real name is Ermias Asghedom, was shot on March 31 for his clothing store in Los Angeles. He died of his injuries. A suspect has been arrested who denies any involvement for the time being.